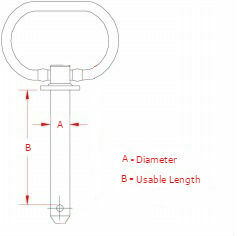 Request a quote for Large Handle Pins today. JBF National large handle pins are manufactured from the highest quality C1144 steel, or 304 stainless steel, and are designed and tested for ultimate reliability and durability. 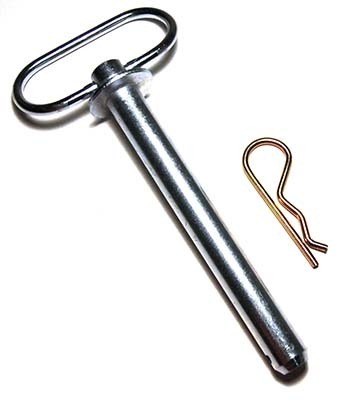 These fasteners (also known as large handle hitch pins) allow for quick engagement and disengagement in lieu of more permanent fasteners like bolts and rivets. This model features a large swiveling handle that allows for maximum grip and space saving maximization. Please see component diagram below.